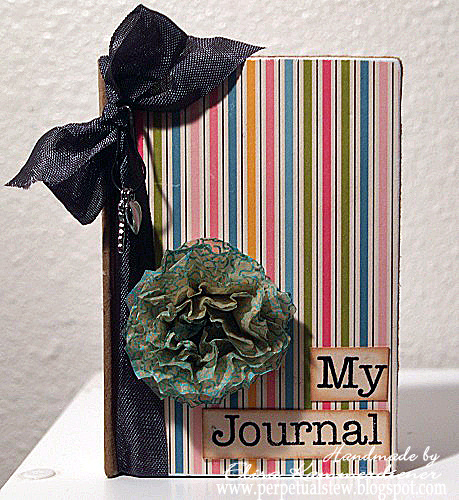 Hello everyone Elisa here from PerpetualStew Today I would like to share with you a easy and fun little journal that I covered. 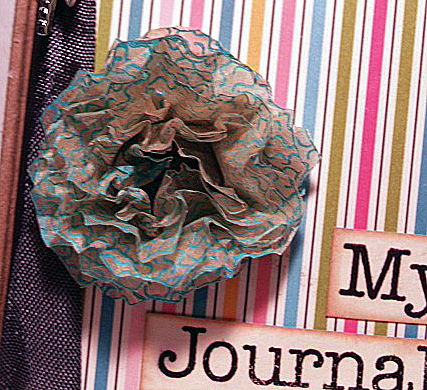 I used the Totally Tiles Stamp set and created a fun flower with the Bloom'n Trio stamp set. To create the flower. 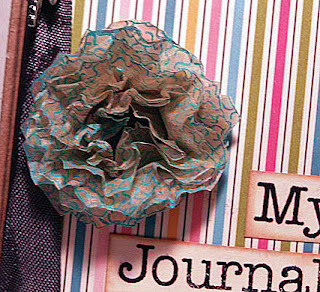 Stamp the flower image 6-10 times onto pattern making paper. Trim out each image. Stack all the images on top of each other and punch a small hole into the center. Place a brad through the center and secure it. Crinkle each layer of the flower up and over the top of the brad. Fluff it and add it to your project. Feel free to hop on over to my blog at Perpetual Stew for complete step by step instructions and more projects throughout the week with the Snowflake stamp sets. Gorgeous!Gorgeous!Gorgeous! Yes, I said it!